A popular show called Extreme Coupons has been chronicling ‘extreme couponers’ who save ninety to hundred per cent of their grocery bills every week. The average person avoids using coupons because finding and using them often seems like a waste of time. However, once a person has seen the massive savings extreme couponers enjoy, couponing becomes more appealing. 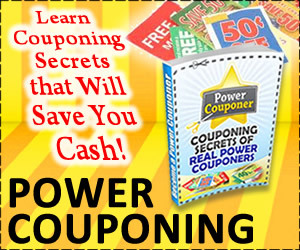 Anyone can become an extreme couponer, and there are three tips that will help an average shopper become an expert coupon collector. Invest in multiple copies of your Sunday paper to collect coupons. This is a small investment compared to the return you will receive. Circulars can be obtained from friends, family, and recycle bins if you’re willing go through them. Don’t be afraid to talk to local businesses that often have newspapers such as barbers and coffee shops to see if they would be willing to set aside the circulars for you. 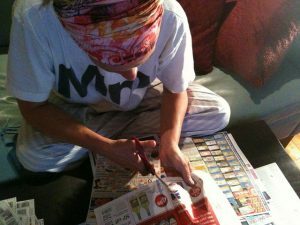 Separate the pages of circulars so that you can create stacks of like coupons. Once you are organized you can begin clipping away. Storing your coupons in a notebook using clear baseball card sheets and product type dividers is a great way to keep them handy and easy to access in a hurry. Sign up for the savings rewards membership card with your grocery store. Very often, they will have digital coupons available only to those who have a card. These coupons can be combined with the sales and the manufacturer coupons for excellent savings. Some stores even offer double coupons which could end up giving you money back toward your other purchases. If you have coupons that you just won’t be using you might consider joining the train of ‘Disboard Coupon.’ This involves mailing out an envelope which you take and get coupons from. Being a Disney-themed forum, Disboard allows you to join the ‘coupon train’ free of charge. However, you must make sure that you are able to cut out coupons, add them to the mail, and send it to the next person awaiting them. If you have several unused coupons, you could also sell them through eBay. Usually, you will find buyers for 5-10 multiples of one item. Expired coupons can be used by the military for up to 6 months after expiration on base. Sending these the military families is a great way to use your expired coupons. Contact your local military support center for information on where to send your coupons. Extreme couponers who see the best results understand the value of stockpiling. This is the process of getting items for little money or free and keeping them for future use or donation. This means your family will be less reliant on shopping for that week’s groceries and have more freedom in when they are able to shop. By doing this you will be able to be selective in your shopping trips only going when you can get items for free or very low price adding to your stockpile. This is done when you start to make trips to the stores that are offering amazing sales on items you have coupons for and combining your purchase discounts. No longer is it valid to live by the theory if you don’t need it now don’t buy it.